A somewhat annoyed looking bear, a lost sauropod, someone in a tinfoil hat and a depiction of commercial fishing if the concept was applied to meat production. 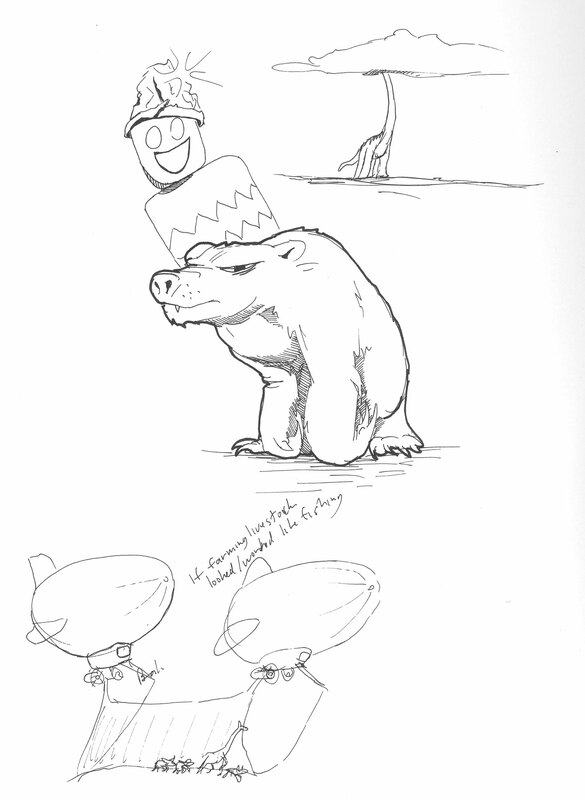 This entry was posted in Quick Desksketch and tagged Bear by Anthony. Bookmark the permalink.